Looking for El Castillo Hotels? 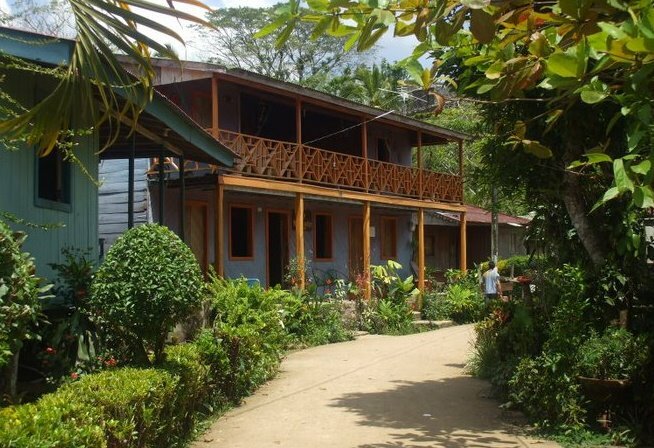 Despite being a small town, there are several El Castillo hotels that you can choose from, and certainly you will find something for every budget. 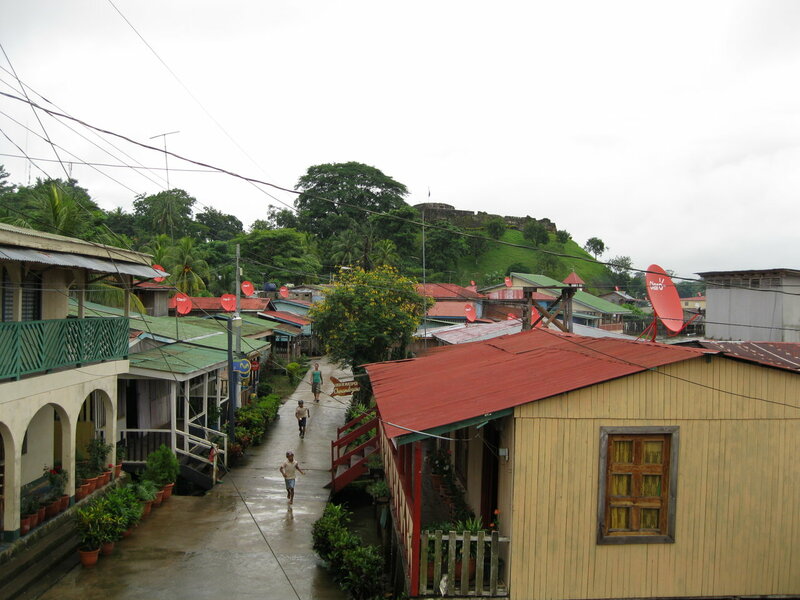 El Castillo, as the rest of Nicaragua, is extremely affordable to travel in! Following is our list of El Castillo hotels. Hotel Victoria at El Castillo. 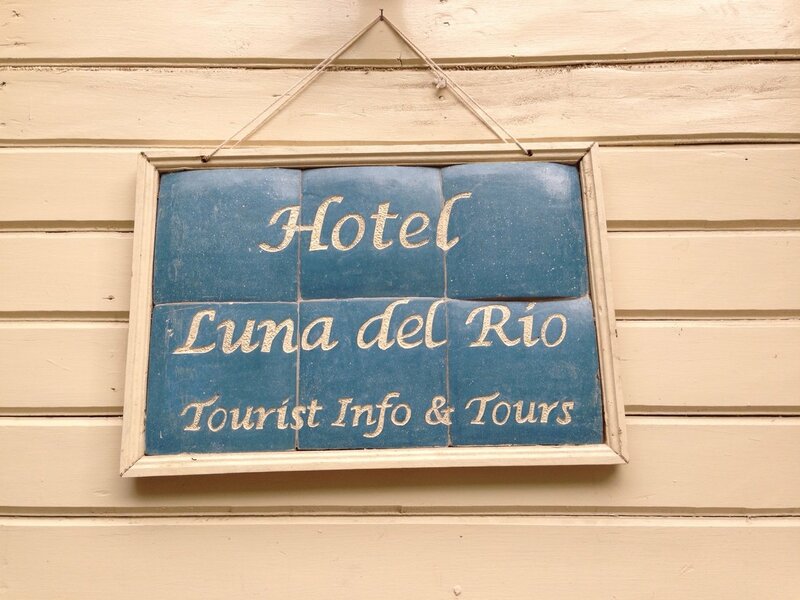 The best hotel in town! By far the best option for El Castillo hotels! 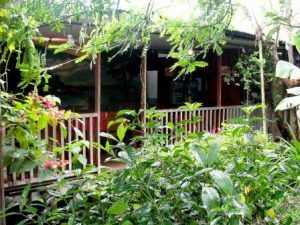 With a total of 12 rooms which are rather small but they all have a private bath with hot water, air conditioning and cable TV in room. They have a full service bar and restaurant and offer some of the best food in town. Owner Julia is extremely friendly and will help you out with anything you need. They do not have wi fi but they do have access to internet. They also have a nice country house right on the river a few kilometres down river. The hotel is located about a 5 minute walk downriver from the main municipal dock, and although not on the river, they are right next to it. E-mail: [email protected] Telephone: (505) 2583 0188. They have a great restaurant and a fully stocked bar. They are one of the few establishments in town that does accept credit cards! 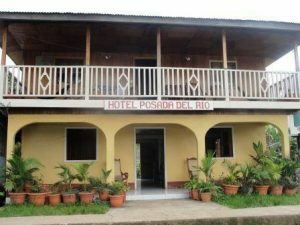 Newest Hotel in El Castillo! Extremely friendly and very cozy. 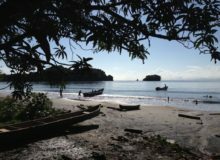 Owned by a Spanish – Nicaraguan family, (Marga and Manuel, plus their little daughters) service is courteous and the rooms are impeccable. A total of 5 rooms, three facing the river, which are the best are the three facing the river. Rooms are small, but comfortable, and they feature solar hot water and are eco friendly. Tours to the nearby attractions are available. Breakfast is included and they do have a tiny, but pleasant bar on the deck over the river. Lunch and dinner are not served, but location is perfect to walk out on pedestrian street and find a place for lunch. Certainly one of the best options for hotels in El Castillo. 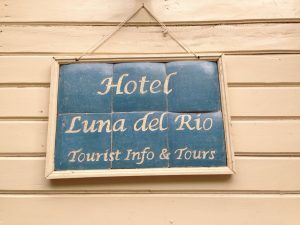 Hotel Luna del Rio does not have a web page yet, however you can contact them at their email: [email protected] or telephone: (505) 8624 6263. 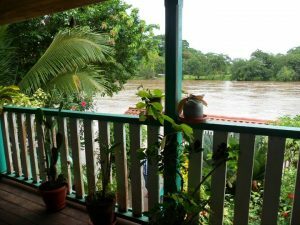 An ecolodge located about 3 kilometers downriver from El Castillo, right on the confluence where the Bartola River meets the mighty San Juan. 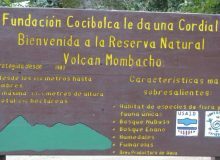 The hotel borders the Indio Maiz Biological Reserve and has a set of trails that will allow you to meet some of the wildlife of this vast protected area. They have 11 Rooms which are quite basic, with a private bath, but no air-conditioning or TV. There is not even a phone in this remote location! 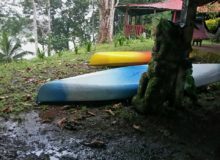 If you are looking for Hotels in El Castillo to get away from civilization and be in touch with nature, this is your best bet! It is a great spot to get away from it all and interact with nature. 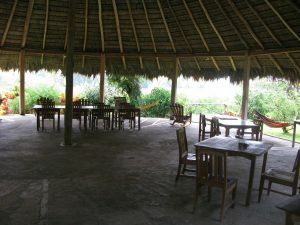 The lodge has its own restaurant and bar. E:mail: [email protected] Telephone: (505) 8376 6979. Located adjacent to Hotel Victoria, this is one of the best options for hotels in El Castillo. Rooms with private bath, hot water and air conditioning. Telephone (505) 2583 3014. Nice location on the outside of town makes of this one of the quieter hotels in El Castillo. 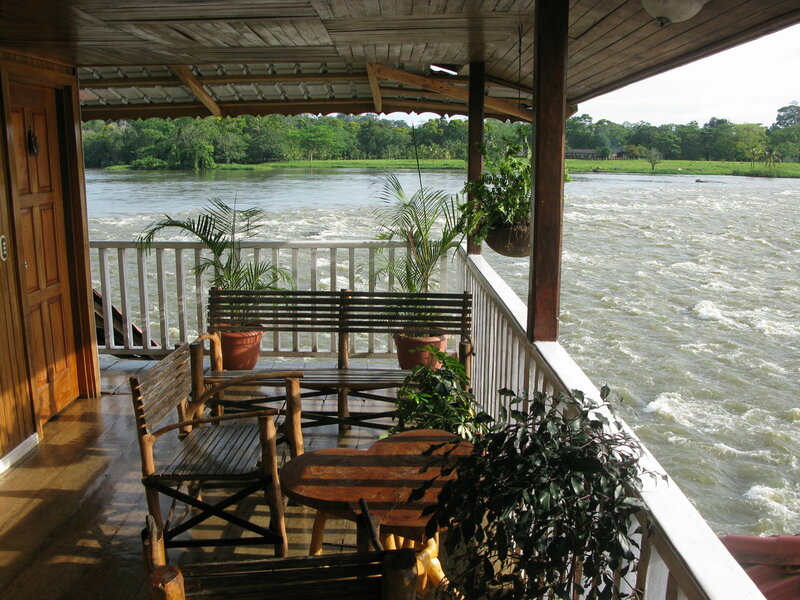 Located above Restaurante Vanesa, this property has the best view of the rapids over all the hotels in El Castillo. Although basic, it is comfortable and clean. Only has 4 bedrooms all with private bath cable TV and fan. Nice porch to enjoy the view of the river. 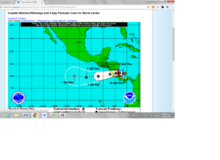 Telephone: (505) 88201347 / 86998883. Nena Lodge, the best hostel in El Castillo! This is by far the best backpackers lodge in town. 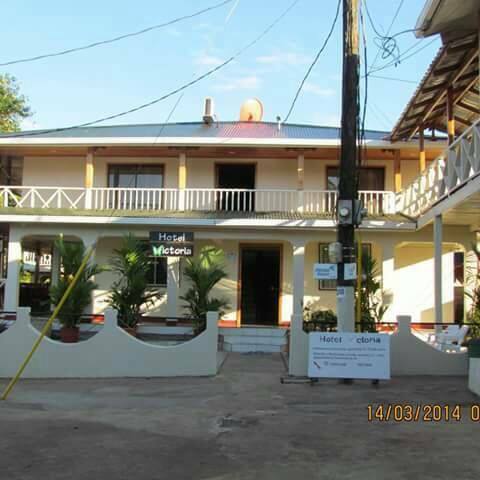 Clean rooms with fans, pleasant and friendly service and a good location right on the main street. Bathrooms are outside of the rooms. 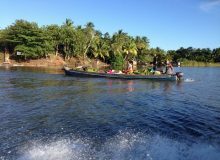 Seyla, the owner is an experienced guide and offers the best tours around El Castillo. www.nenelodge.com E-mail: [email protected] Telephone: (505) 2583 3010. 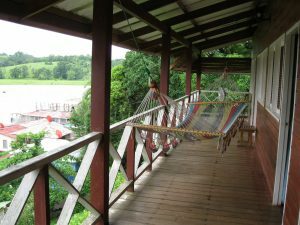 Without doubt the best dorm style accommodations of all hotels in El Castillo! 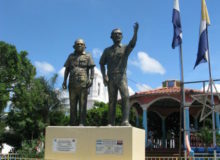 Located just above the municipal dock, you can’t miss it upon your arrival to El Castillo. Nice building. All 9 rooms have access to a nice terrace with a great view of the river and town. No restaurant or bar service is available. There are no bathrooms in the rooms. E-mail: [email protected], Telephone (505) 2580 0038. This option offers the best views of the Rio San Juan of all hotels in El Castillo. 6 Rooms with private and shared baths. Hotel located right on the river with a nice porch overlooking the Rio San Juan. Owners are very friendly and their food is affordable and quite good. Hotel also offers restaurant and bar service. Property is adjacent to Hotel Victoria. 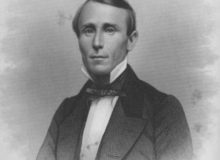 E-mail: [email protected], Telephone: (505) 8381 6493. 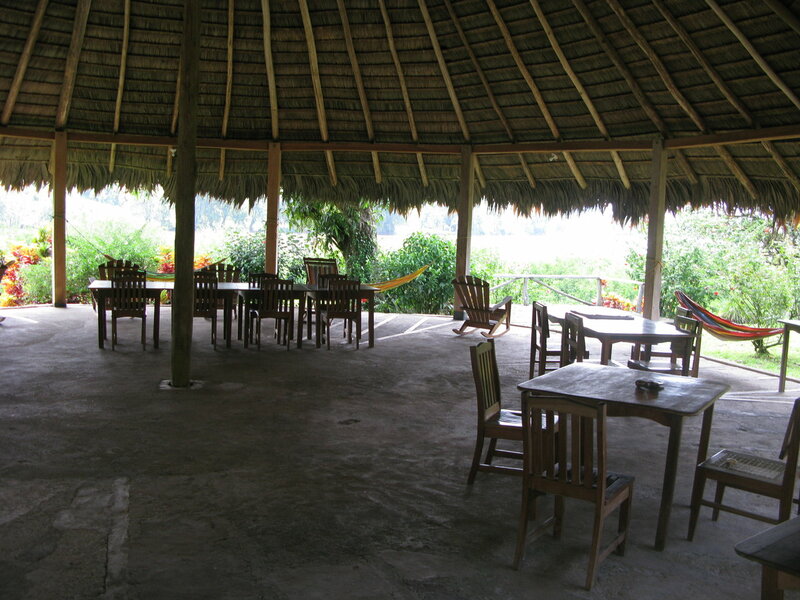 A truly pleasant setting makes of this a great option for hotels in El Castillo. A nice hostel located about 400 meters north of the municipal dock. They only have five bedrooms, and they are simple, nice and very clean. Each with its own bathroom. The business is a sister enterprise of the Cofalito restaurant and bar, that is located in the green building adjacent to the municipal dock at El Castillo. E-mail: [email protected] Telephone: (505) 8855 9110. One of the centrally located hotels in El Castillo with 6 very basic rooms. Although rooms have their own bathroom, they are small and not very well ventilated, and you can hear what is going on in the room next to you. The restaurant has a nice garden that is frequented by birds. E-mail: [email protected] Telephone: (505) 2580 0038.